Theme Junkie has been around since 2009 and today they are servicing over 30.000 customers. They are famous for their low prices, but stylish designs that are supported by team that is very professional. But usually, if you pay more you can get more. So will this boat be a canoe, yacht, or a wooden peddler with more than one hole in it? Let’s find out. 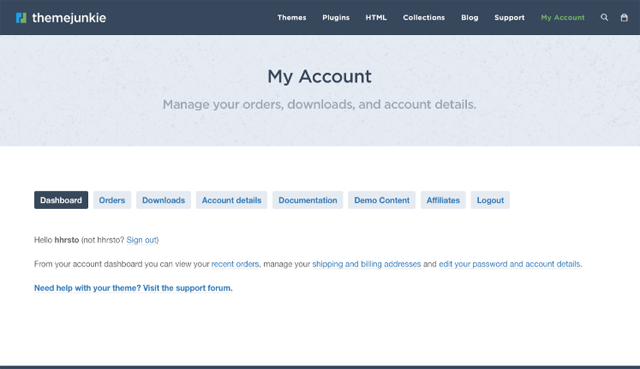 Theme Junkie keeps their process of making an account one of the simplistic we’ve ever found, anywhere. All you have to do is type in your email and you will be taken to your dashboard. Of course, you will be sent an email with randomly generated password, but you can change that easily. 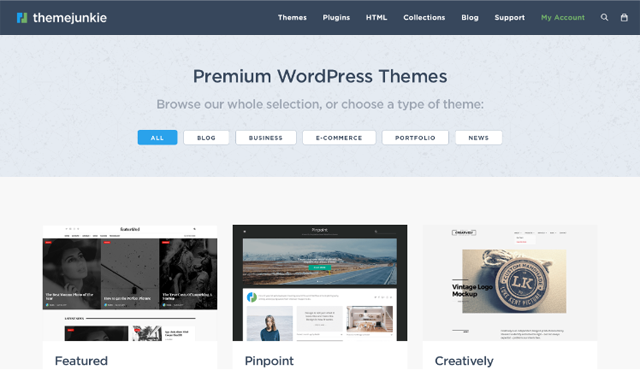 After that you can browse through themes, decide if you want to buy just one or the whole membership and after you download a theme, all you have to do is upload it in .zip format to your WP site and you are ready to go. 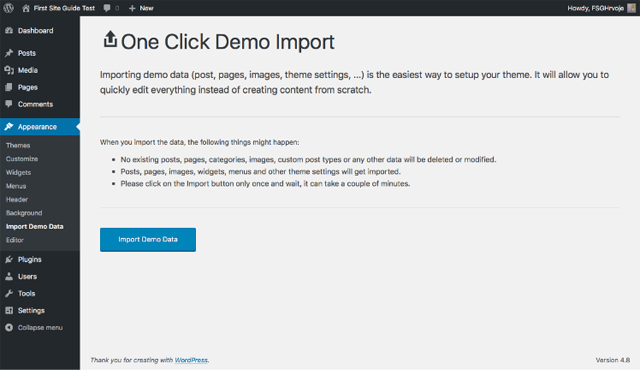 Right off the bat, you will get a suggestion in your WP dashboard if you want to install the plugin and import demo content. 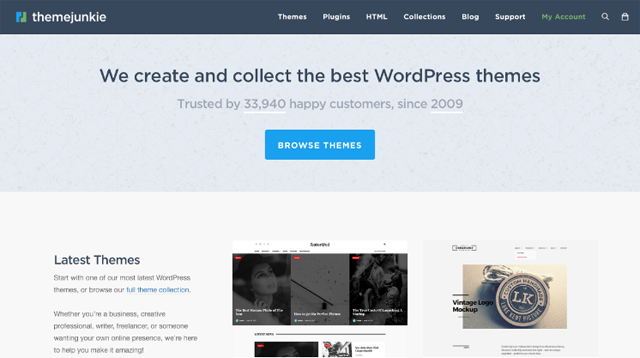 While there are other theme providers that can do this and there are instructions, we found that Theme Junkie is the only one that will save you the hassle of finding where the heck you can find demo content. However, where they fall short is customisation. You will be left to your own WP devices because there are no official tools that will allow you to adapt the theme to your own tastes. There are no builders that are even suggested as third party solutions so if you want to build from. All of their plugins are free, but there is also just 6 of them. It is a small number but we guess that it really is more money, more problems, but also more options. But if you are HTML and CSS savvy, you can download their themes in HTML. Which is not always an option. So if you are a developer, do not run away, you will have a nice little sandbox that you can play in. If you are not, everything will be served nice and ready with easy to understand instructions. Even their members area is simple to use and you really can’t get lost. You can even get a few bucks extra via their affiliate links, which is always a nice welcome. 54 themes were available during our review. We were happy to see that they were quite diverse with their themes and options. From e-commerce, to different businesses like tech, art or medical themes, we can’t say that you won’t find your pick. We just might see the first traces of themes getting old. 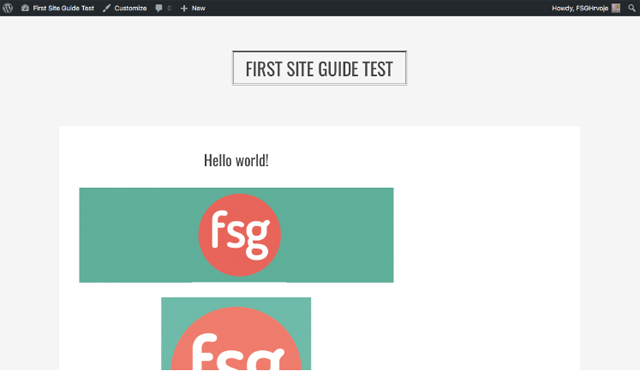 While there are gorgeous themes, some like Beginner or FreshLife are all little too familiar. It is maybe just us, but a fresh coat of paint wouldn’t hurt. But there are plenty of themes that are fresh and modern looking and they keep up their fonts and graphics clean. 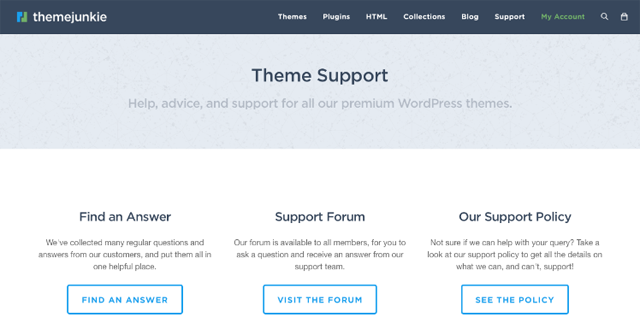 From robust Featured theme to minimalist Creatively theme, they are very versatile. When you factor in their prices which are cheaper than the competition on almost every instance, we are willing to close one eye occasionally for some themes. Or just keep looking at better ones. Support for Theme Junkie is a bit lacking, or to say non existent when it comes to non paying customers. They have FAQ that is not too helpful with the technical side of things and Forums that are available only to paying members. There is no ticketing, social media or live support. Which means that you will get a bit slower response than usual, which was the case, considered their competition. But their team was. relatively, available 24 hours during the workdays. All of our problems were solved in a professional manner, even if they are not necessarily WP related. Additionally, if you buy lifetime package, you will get a lifetime support and the pricing is much cheaper than the rest of providers. We just wish there were more channels for help and support. There are three pricing categories. Single theme will cost you $39. You will also get 1 year of updates and support. All Themes Package $49. It will give you access to all current themes and 1 year of updates and support. Lifetime Package will cost you $99. It will give you access to all current and future themes and 1 year of updates and support.